This book collects 30 outstanding works from Tongji Architectural Design (Group) CO.,LTD (TJAD), demonstrating the company's progress over the past 20 years. It covers various types of projects, such as culture, education, office, protection and renovation, sports, hotels and so on. 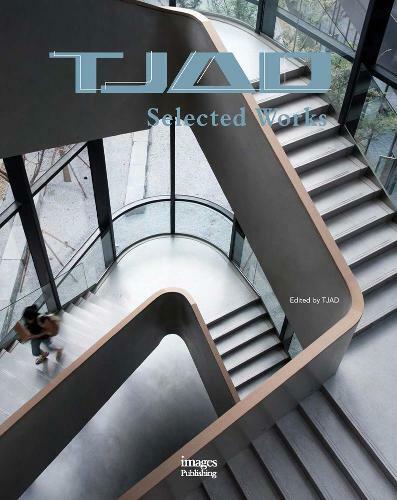 From the concept sketches to the final display, this book presents a comprehensive overview of the TJAD architectural practice, placing the TJAD among its fellow large-scale design institutes in China while acknowledging its uniquely dynamic development situation. These original works will demonstrate the design ability and architectural prowess of the Chinese compound, the diversified development of Chinese architecture, and the architectural culture of China, as well as providing insight into the planning and construction of Chinese cities. Tongji Architectural Design (Group) Co., Ltd.(TJAD), formerly known as the Architectural Design and Research Institute of Tongji University, was founded in 1958. Since then, it has developed into a well-known large-scale design consulting group. With one hundred years' history and the profound cultural foundation of Tongji University as a backing, TJAD has accumulated rich experience in both engineering design and technical consultancy. Their company is defined by its continuous progress, over the course of half a century.